It all began in a small valley located between the present Victorian country towns of Castlemaine and Chewton. During 1851 and 1852 tens of thousands of people streamed into this valley in the search for gold. They called the area 'the Mount' or, more simply, 'the Diggings'. The first news of gold hereabouts appeared without fanfare in the form of a letter by the discoverers, three local shepherds, to the Argus newspaper in Melbourne. A trickle of diggers made their way to the spot, and when reports of their splendid successes at Forest Creek (not far from the foot of Mount Alexander) reached Melbourne, the trickle increased to a flood. Within a year, the Mount Alexander goldfield extended south to Vaughan and Guildford, and north to Barker's Creek. It boasted a digger population of over 30,000, and was known to millions around the globe. It had become the richest shallow alluvial goldfield in the world. 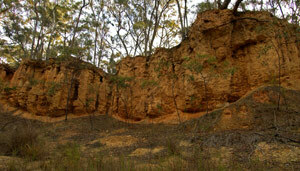 A large number of these flats and gullies where the diggers toiled now lies within the Castlemaine Diggings National Heritage Park. 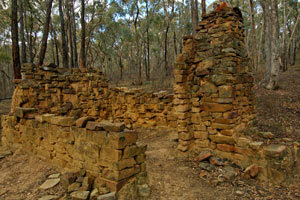 In 1999 the Shire of Mount Alexander created the Mount Alexander Diggings Project which included the production of a self discovery booklet to guide visitors back through history to these halcyon days. 33 sites were selected and upgraded to cater for car and walking traffic. These sites range from the iconic Market Building in the town of Castlemaine to the foundations of the huge 70 ft (23 m) waterwheel used to supply power to the gold crushing plant of the Forest Creek Gold Mining Company. 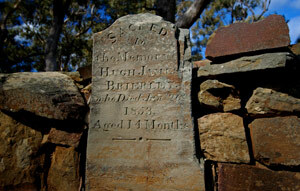 The sites include evocative bush walks, old mining sites, cemeteries, lookouts and currently occupied buildings. Taken all together they form an important part of the cultural history of Australia.